We're very excited to announce some of the results from our recent customer survey! Heather Swanson, from Swanson and Company. Congrats, Heather! All of you gave us good insight into your business needs, and how we can help. Look for announcements in the coming months regarding what we're planning. If you're interested, have a look at the survey results. 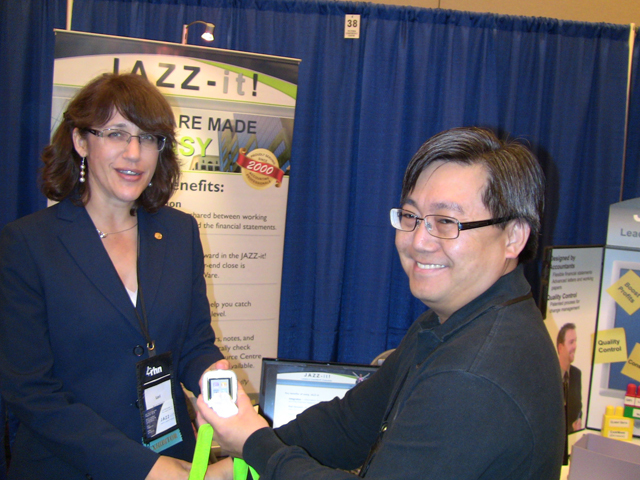 Congratulations to Edwin Kong, CGA (right) winner of our iPod Nano draw at the CGA British Columbia Conference 2011 on September 22, 2011. 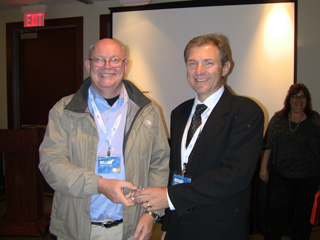 Congratulations to Bill Innes, CGA (left) winner of our iPod Nano draw at the CGA Ontario Public Practitioner's Convention 2011 on September 16, 2011. As you know, Jazzit helps practitioners transition to ASPE. As you transition from differential reporting to accounting standards for private enterprises (ASPE), you need to make a number of changes to the financial statements. In case you missed it on our website, here's a step-by-step process using Jazzit templates. As well, we've prepared some notes regarding mandatory ASPE adoption and transition for annual financial statements, including key dates. Read them here. 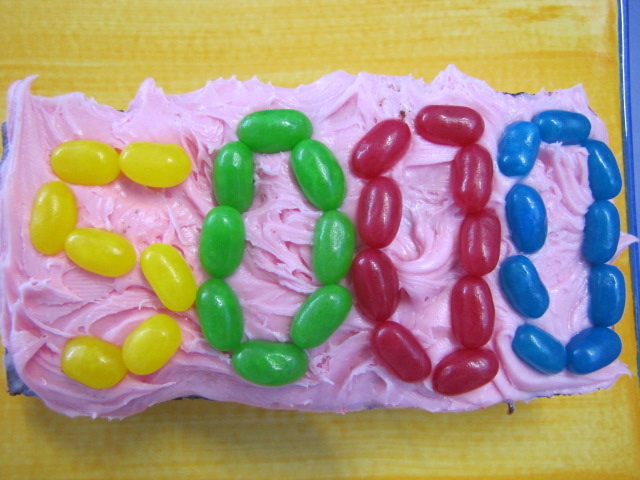 We are excited to announce that we now have over 5,000 users of our Jazzit Templates! Jazzit opened it's doors in 2000, and over the last 11 years, we've delivered premium CaseWare templates to firms across Canada, helping with increased productivity, increased consistency across your firm, and increased customer satisfication from your own clients. We're very proud of our history, the intuitive workflow in our templates, and our world-class service. We could do none of this without YOU, of course. Thanks for being our customer; we look forward to many more years of being your partner in our mutual success. As part of our continuing journey, you'll see us rolling out a number of new changes at Jazzit over the next few months, starting with a slight name change (from "JAZZ-it!" 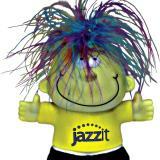 to "Jazzit"), and our new logo. Hope you like it!